More help is on the way for businesses that need to access funding, a Coventry conference has heard. 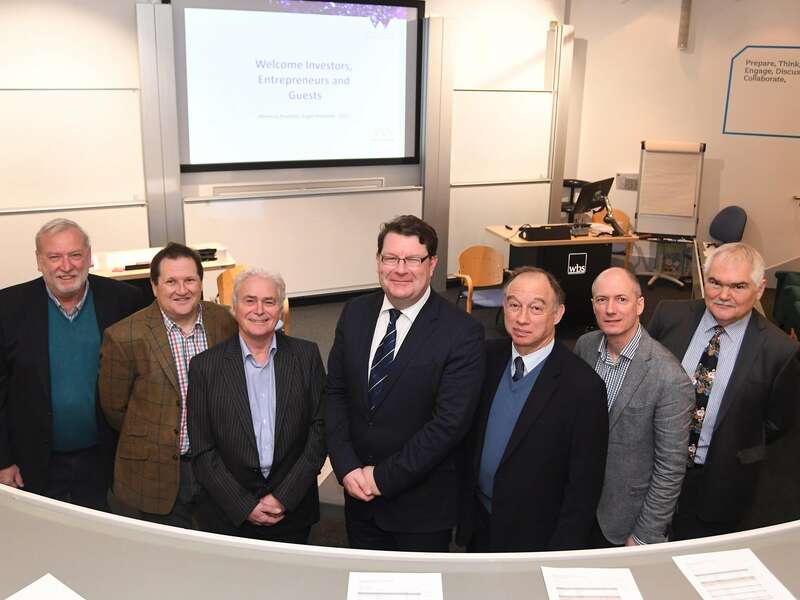 The Minerva Business Angel Network, operated by the University of Warwick Science Park, held its annual end of year review at Warwick Business School and heard from a range of companies it has supported over the course of 20 years. Through Minerva, angel investors have ploughed in more than £8.5 million has been invested over recent years in to ‘tech’ based start-up companies – from a business that has designed a new machine to turn plastic waste into reusable material through to equipment that can help to lay new pipes beneath the road without the need to dig it up. Around 20 companies presented an update on their business and the event also heard from Phil Green, of Coventry University; Sarah Wadham, of EISA; Peter Loomes, of Sandettie; and John Lyon, of Warwick Business School. Lewis Stringer, Senior Relationship Manager for the £250m Midlands Engine Investment Fund – co-ordinated by British Business Bank, also spoke and told companies there is help at hand to help take them to the next level. He said: “British business is made up of 99.9 per cent SMEs, employing 15.6 million people. We are third out of 14 of the major European nations when it comes to business start-up rates, but then we fall to 13th when it comes to those companies scaling-up. “We are here to put money into the marketplace to help improve that. We are not a lender, much of our money is passed through alternative funders who then lend to business. “It is using Government money to support small businesses who wouldn’t normally be funded based purely on normal, commercial criteria. “The recent Budget was good for the British Business Bank and was an endorsement for what we are doing and, therefore, that is good news for SMEs who need funding. Steve Martin, of Minerva, said angel investment was the lifeblood of entrepreneurs in the UK. He said: “It is always great to hear from the companies that our investors have supported and it shows just how much help is needed to get small, high-tech businesses off the ground.